Now that Black Friday and Cyber Monday are over, you might think that the deals are over as well. However, there are much more deals to be had whether you’re shopping online or in stores. Online, some stores are having 12 Days of Deals promotions (named after the Christmas song 12 Days of Christmas). 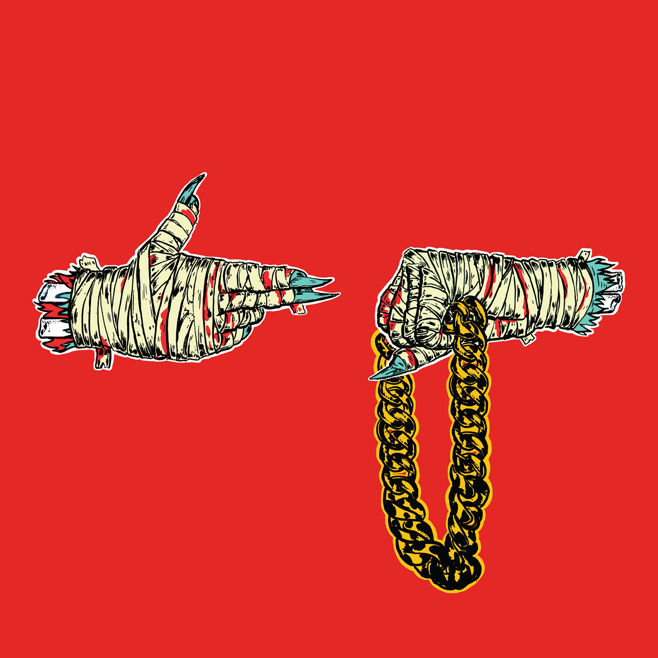 But there are no turtle doves here. No maids-a-milking either. Maybe diamond rings. In this post I’m going to list some of the stores that are giving you discounts to shop for the holidays. Now, I’ve caught on to this a bit late after I noticed that Amazon started theirs on December 4th and Microsoft is starting theirs today. So some stores might be half way into their promotions while others are just getting started. I’ll try to list the info that you need to know with the store that’s running the promotion. Here are 9 online stores that are currently giving you 12 Days of Deals. 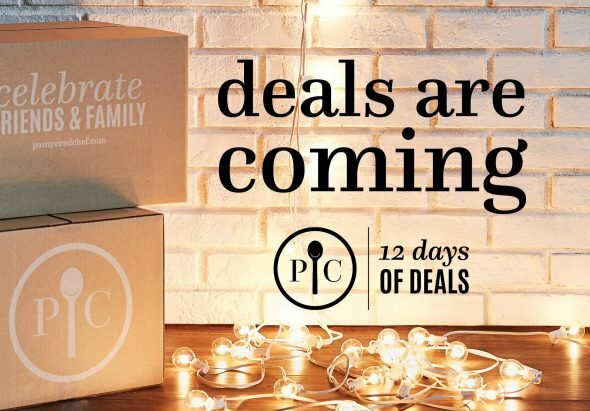 Amazon’s 12 Days of Deals started on December 4th with “Presents opened with glee”, their version of “partridge in a pear tree” from the 12 Days of Christmas song. The theme of “Presents opened with glee” was deals in the toys and games department. Everyday would have a different deal from a different category. As I write this it’s turtle doves day, Day 2: “Title Loves” where Amazon gives you deals from their Books and Media department. Deals today include 53% off the Fast & Furious 7-movie collection and $80 off the Amazon Fire 16GB & Amazon Tap bundle. Microsoft kicked off their 12 Days of Deals early this morning (or if you’re like me then late last night) at the stroke of midnight. The Microsoft Store promises a new deal everyday on everything from PCs, Laptops, Xbox One games, controllers and consoles, Windows 10 and more. The deals are not just limited to the online store. There’s a new doorbuster everyday at your local Microsoft Store including bluetooth speakers, Fitbit watches, mobile phones, games and consoles and more. 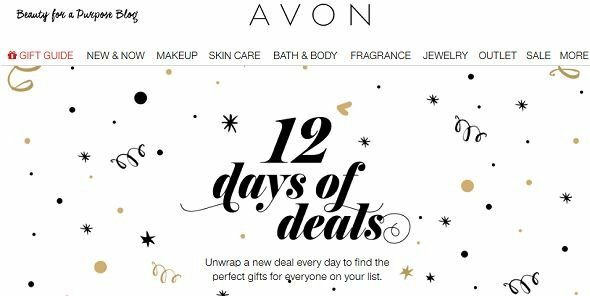 Avon is also unwrapping a new deal everyday when you shop at their online store. You can find that perfect gift for someone or treat yourself with their 12 days of deals. Today is Day 6 and you get a free 3-piece bath & body set with candle when your cart comes up to $45 or more. There are still 6 more days to get some great deals from Avon. 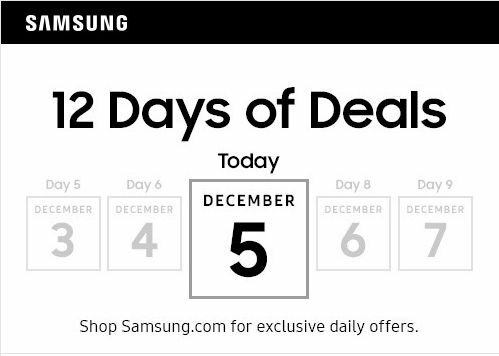 I’m subscribed to Samsung’s email list otherwise I wouldn’t have known about their 12 Days of Deals offers. I must have been deleting the emails because I just noticed the deals most likely because I was doing this article. They’re currently on Day 7 with 5 more days to go. Buy a Galaxy S7 Edge and get a Galaxy Tab E Lite 7″ FREE. Buy a Notebook 7 and get $100 Samsung.com Reward Ecertificate. Bundle a Wireless speaker and a wireless charger and save $20. Tomorrow, Day 8, more deals to be expected but it looks as though you have to be on their email list because I couldn’t find any page on their site announcing the deals. Love cooking? Or maybe you know someone who loves cooking. If so then you’ll love these deals from Pampered Chef. I’m only seeing them announced on Twitter so it might be a good idea to follow Pampered Chef on Twitter if you have an account there. They’re announcing deals daily for 12 days. From viewing their feed it looks like their first deal started on December the 1st so they’re on Day 5. 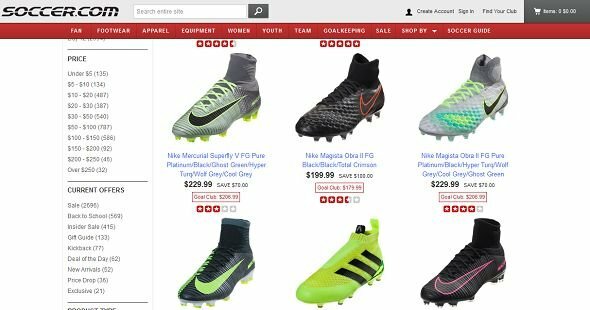 Soccer.com is spreading Christmas shopping cheer by offering 12 Days of Deals to soccer lovers. They’re currently on Day 5 where you can get an additional 20% off anything in their outlet store. Tomorrow, they’ll have another great deal when you check the site. Yet another deal from a sports site for sports fans. This time it’s Lacrosse.com who’s sharing the deals. 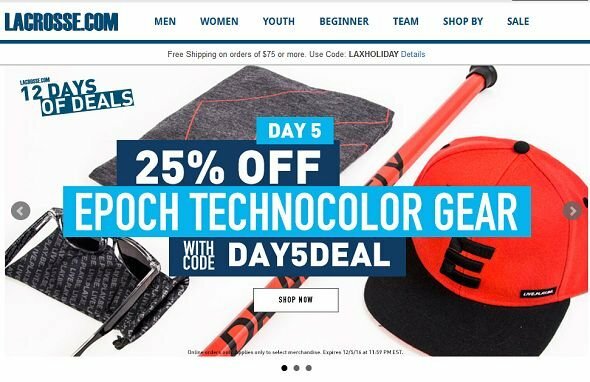 It’s Day 5 for them as well and they’re giving deals on lacrosse gear in their store. 25% off Epoch Techocolor gear is the current deal and with Day 6 deal coming up at midnight. Book loves rejoice. 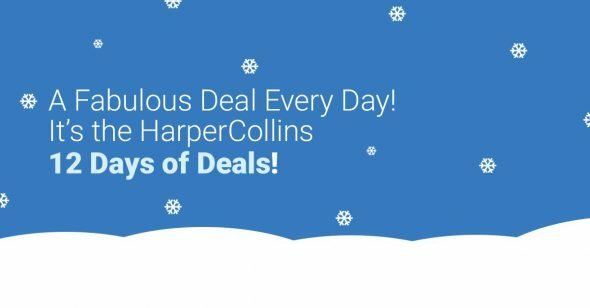 Book publishers Harper Collins is having 12 Days of Deals this year and you can get great discounts to stock up on books you want to read this holiday and in 2017. Deals like “2 paperbacks for $20” and today’s deal of “30% off YouTuber titles” are some of what you can expect from these 12 days. PÜR Cosmetics is having a 12 Days of Deals event also. There deals are announced on the homepage of their online store every day along with the coupon code. You just have to shop to get the deal. Today’s deal for example is a free full-sized skincare product when your cart reaches $50 and up. Check back the PÜR Cosmetics homepage everyday for the remaining 8 days for a new deal. Christmas spending can sure take a lot of your money when you’re trying to get something for everyone you care about but lets hope that in addition to your Black Friday and Cyber Monday savings that these 12 Days of Deals will help you manage your budget well. 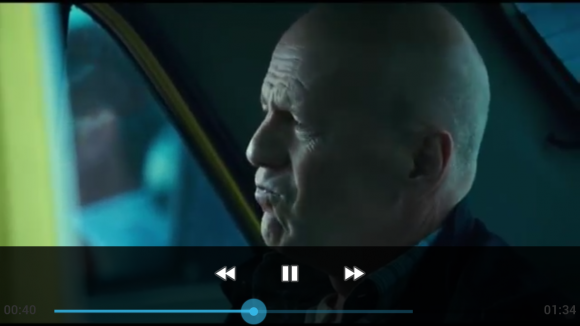 Youtube Slow on Android Phone? Try This!